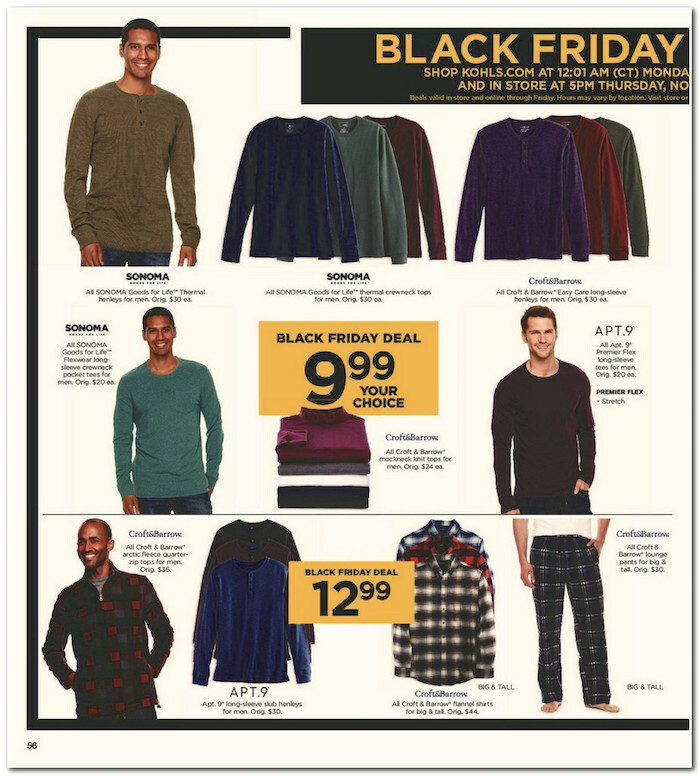 Kohl’s is a must stop shop this Black Friday 2017. 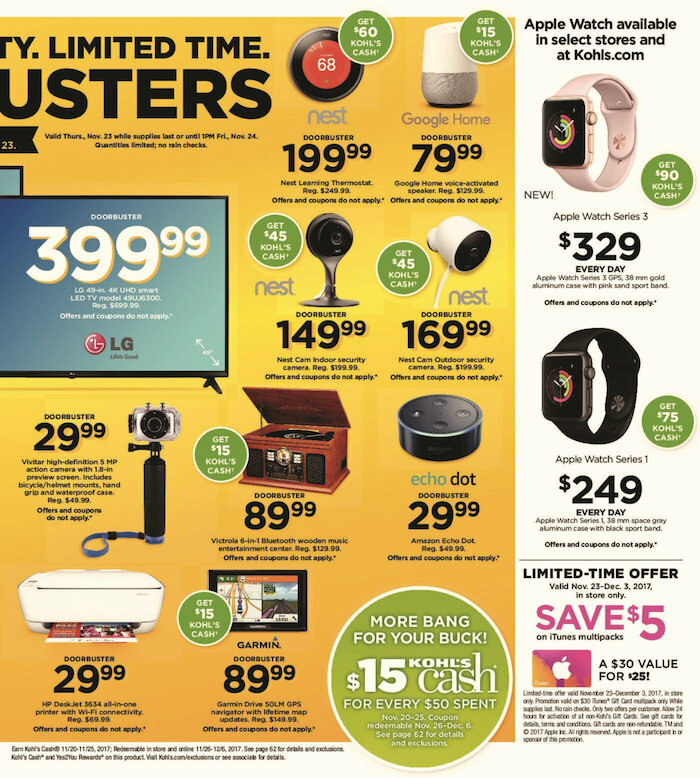 Here are the best Kohls black friday deals and doorbusters for 2017. 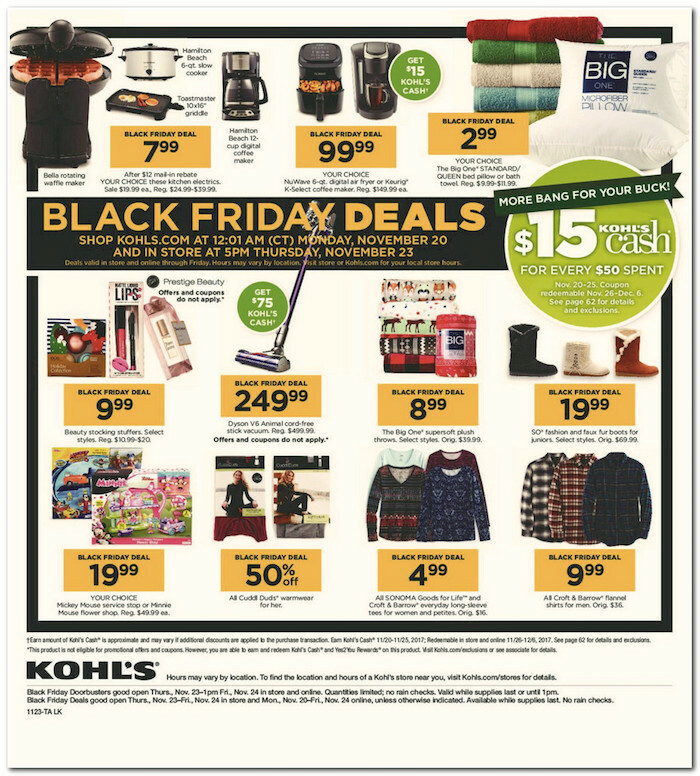 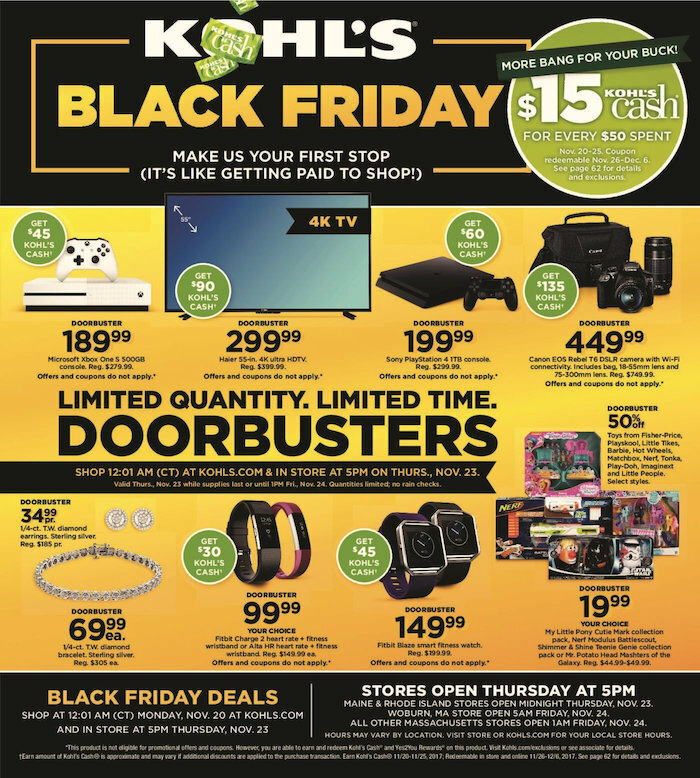 In addition to the great deals, you will also earn $15 Kohls cash for every $50 you spend between 11/20 – 11/25, to be redeemed November 26-December 6. 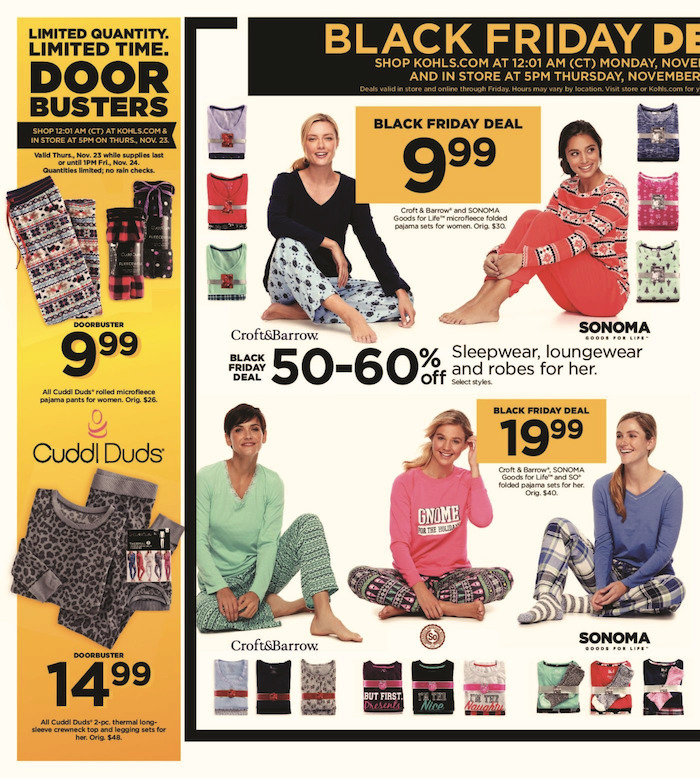 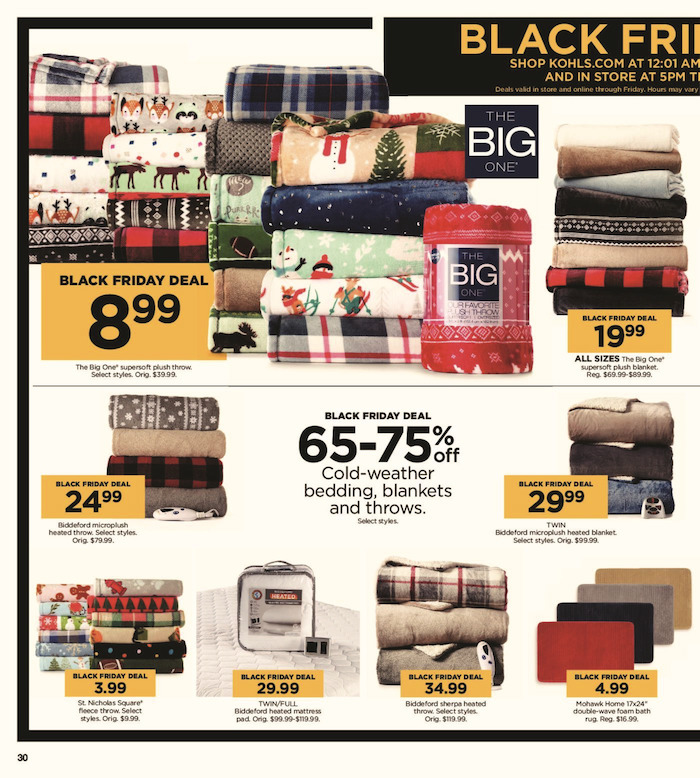 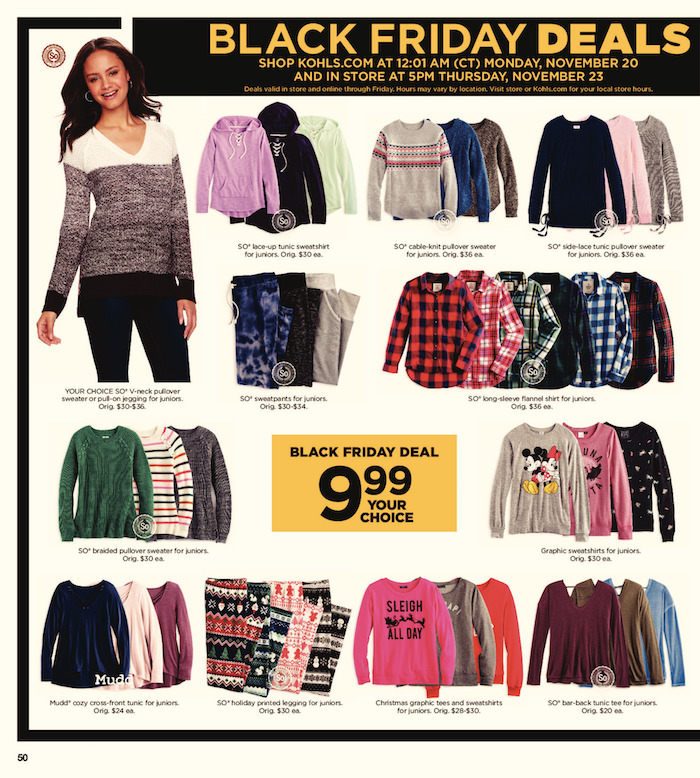 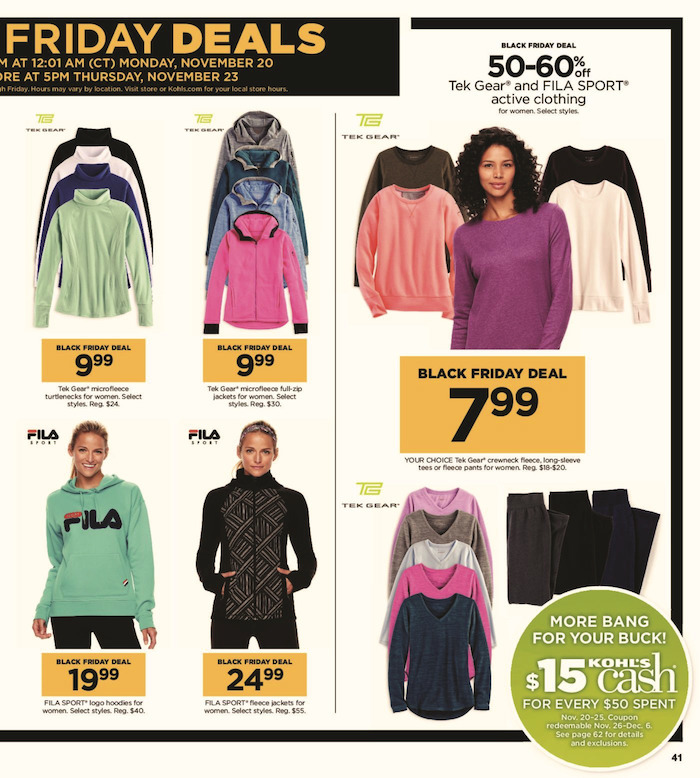 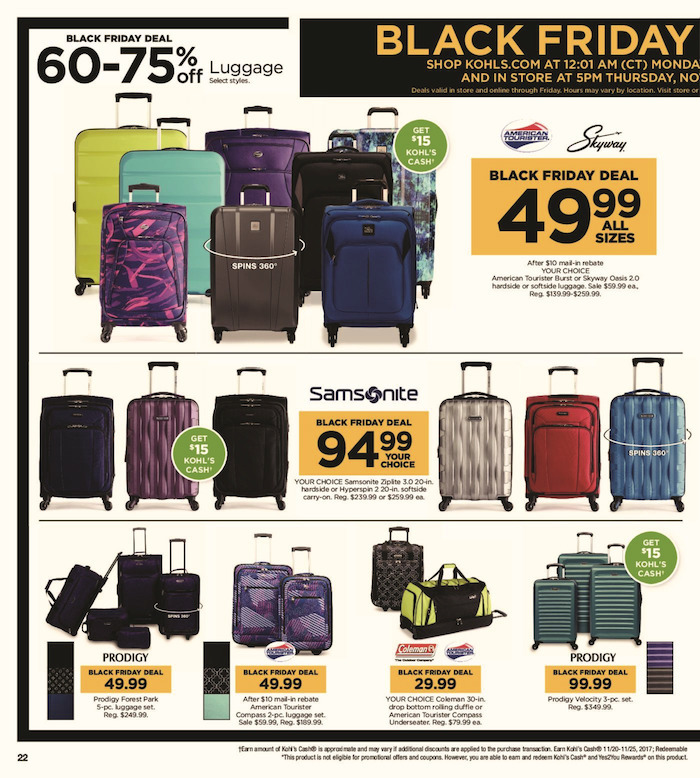 This ad is 64 pages in length and is only for the Black Friday holiday weekend. 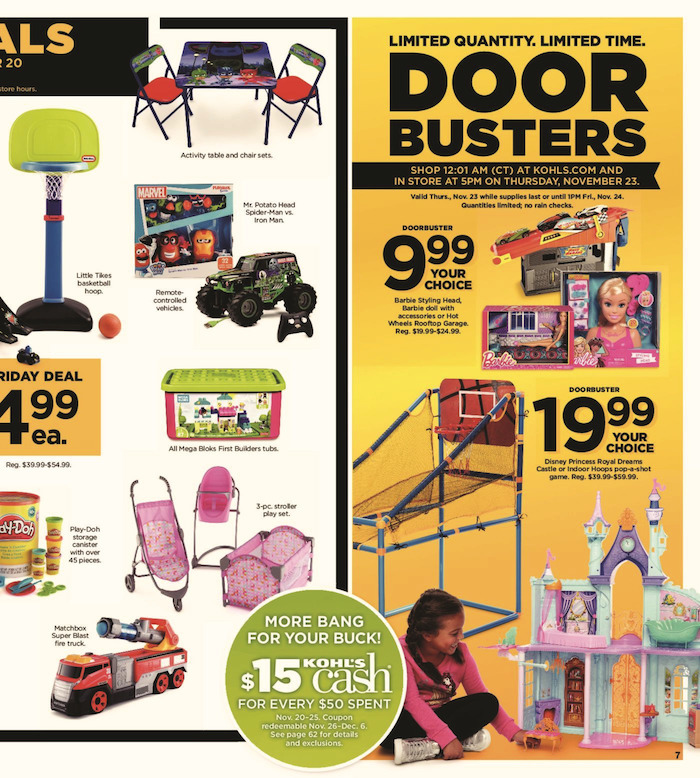 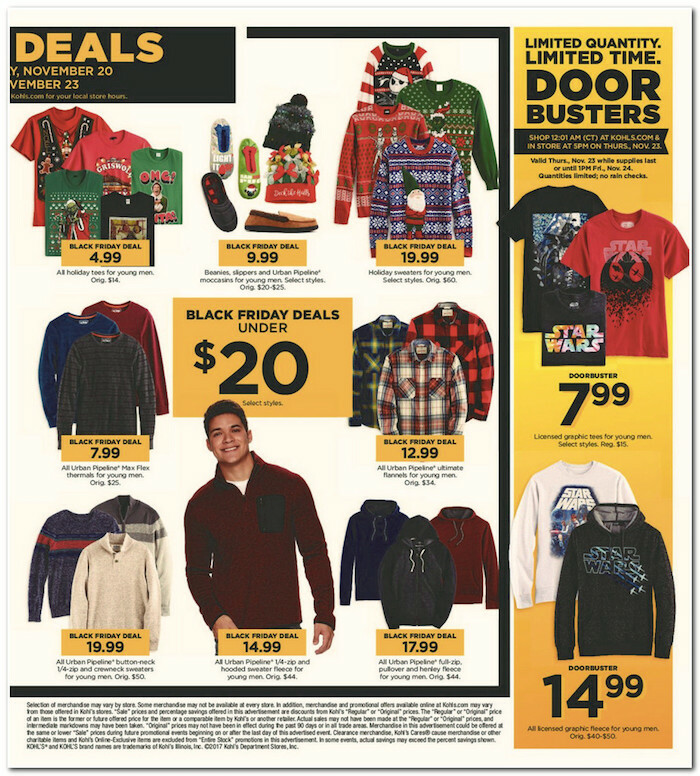 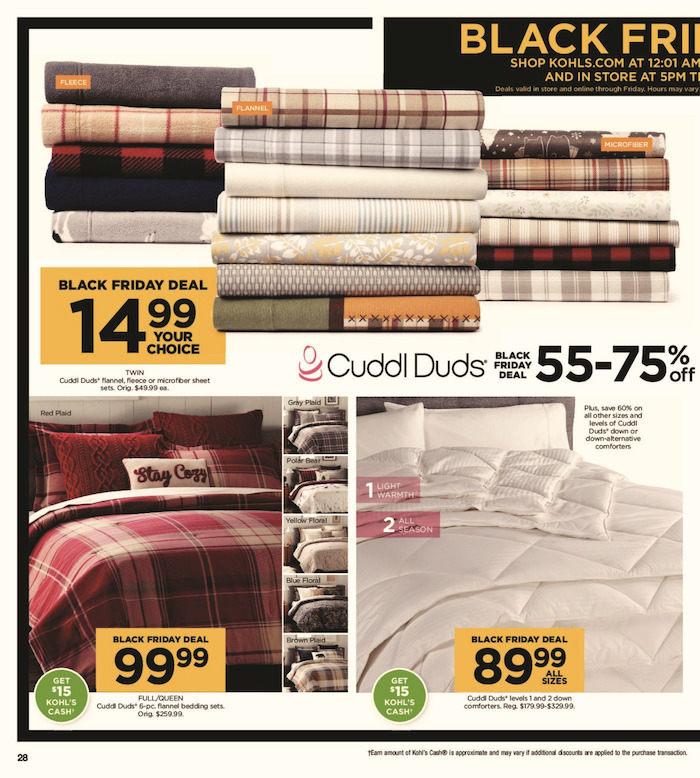 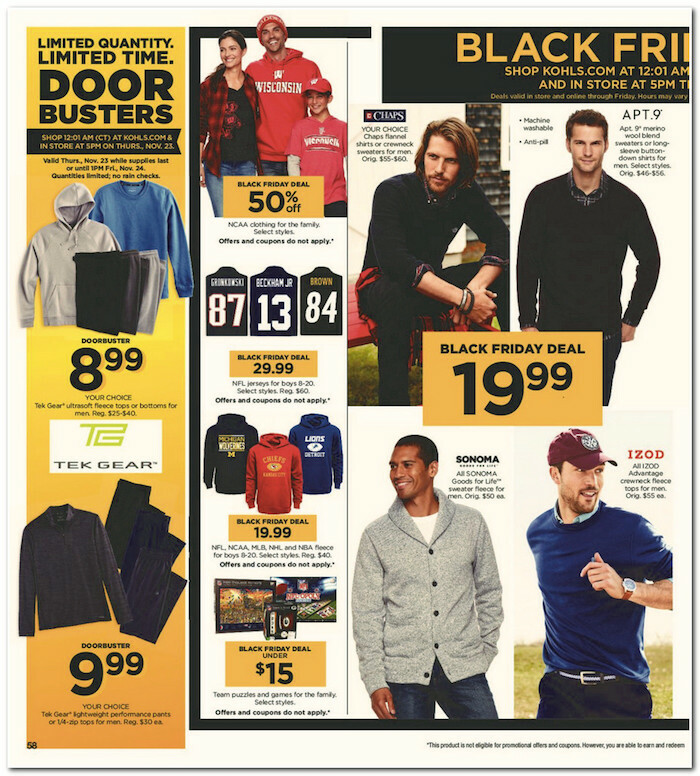 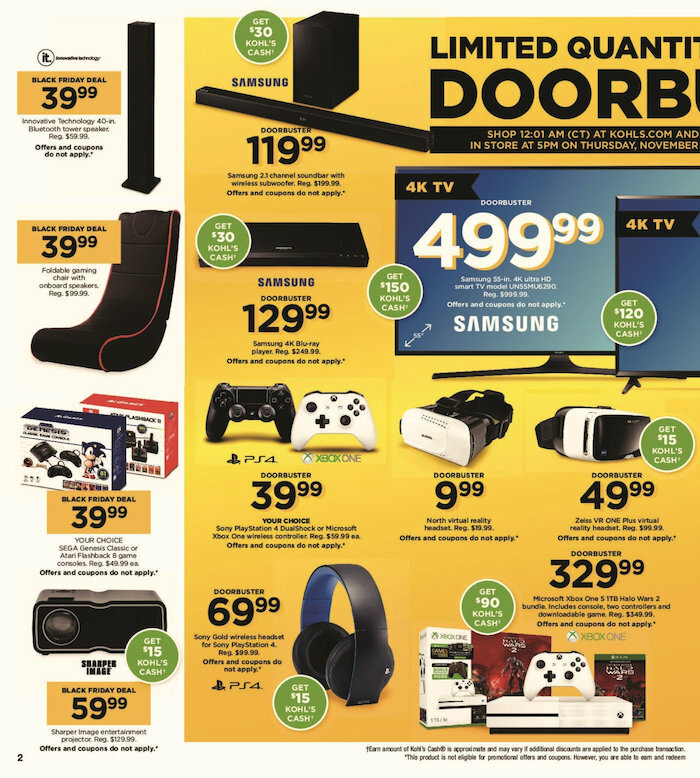 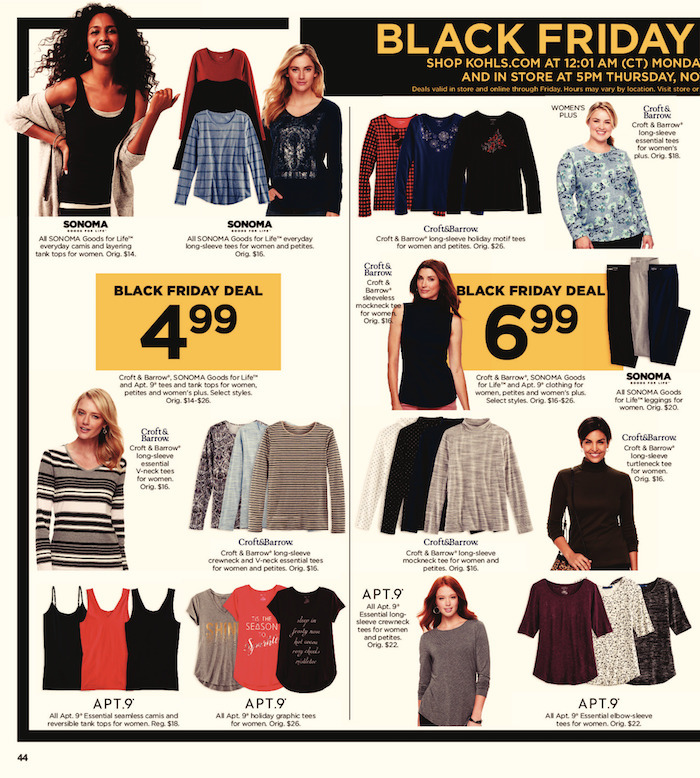 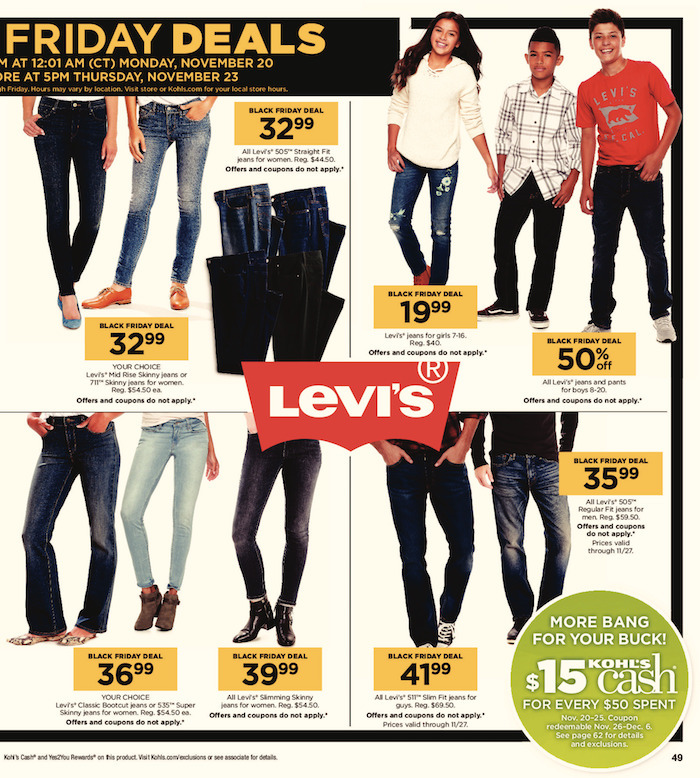 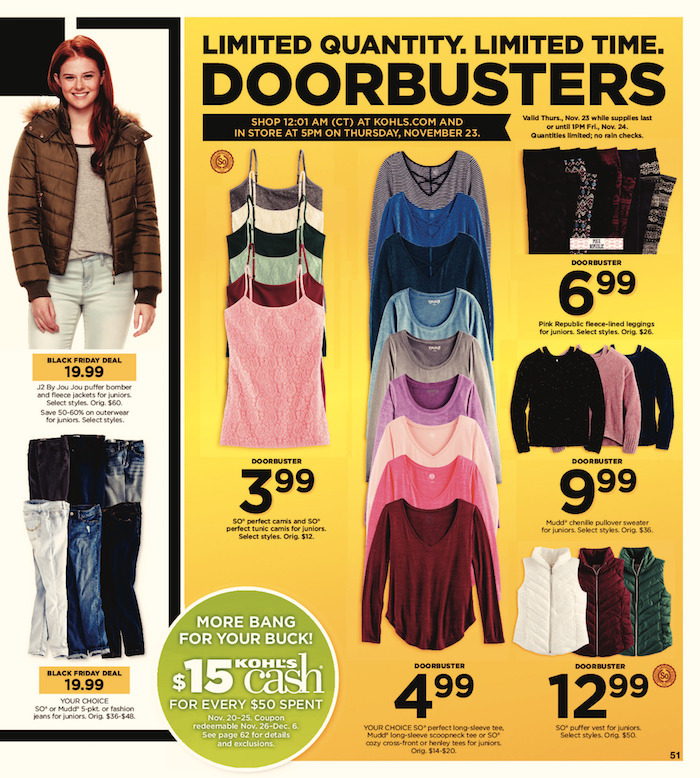 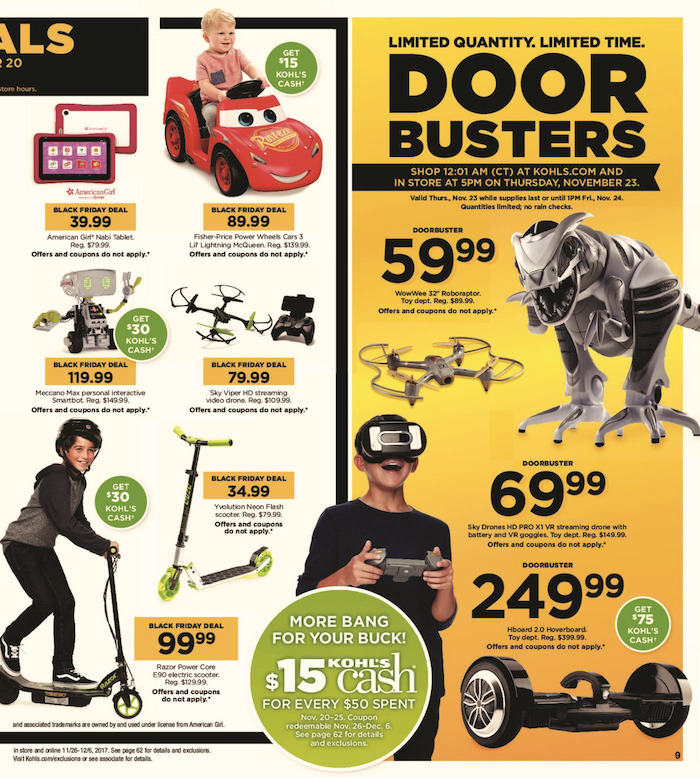 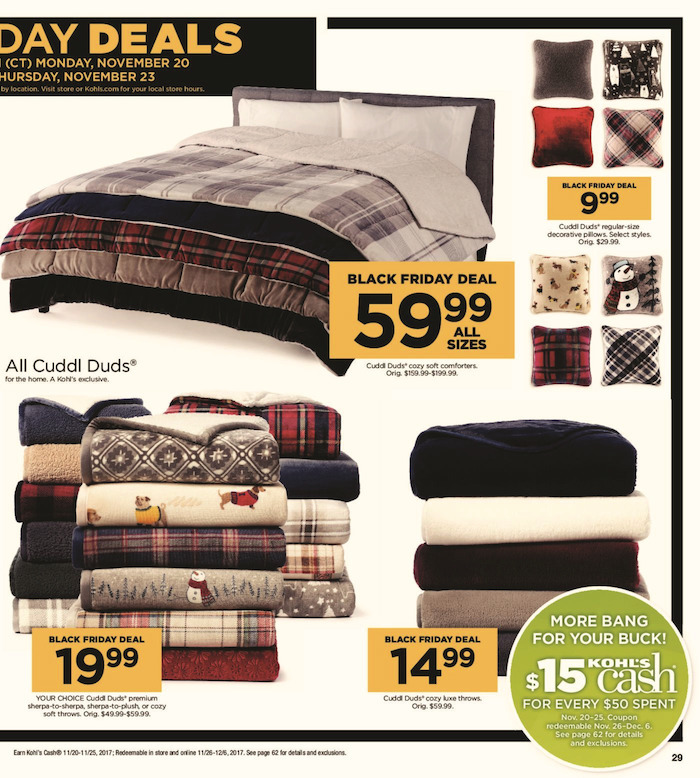 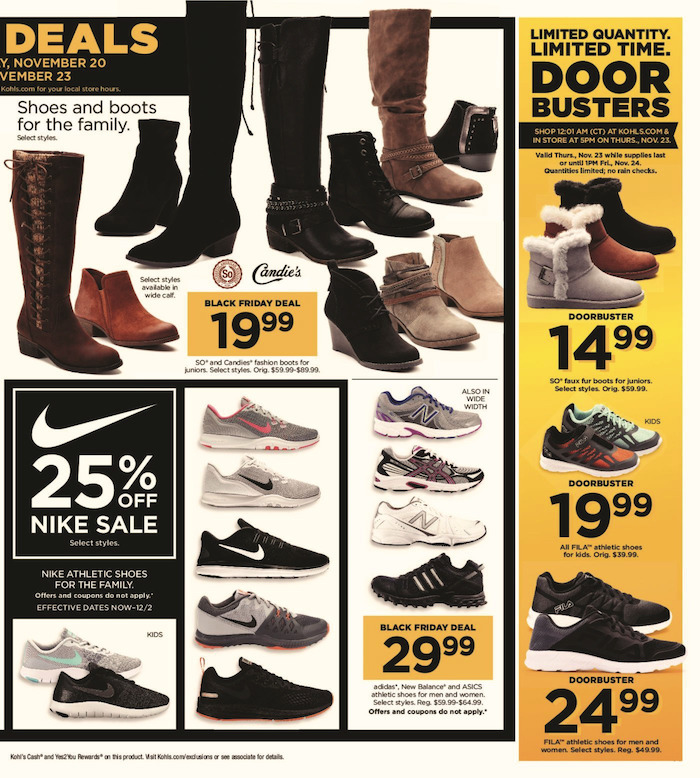 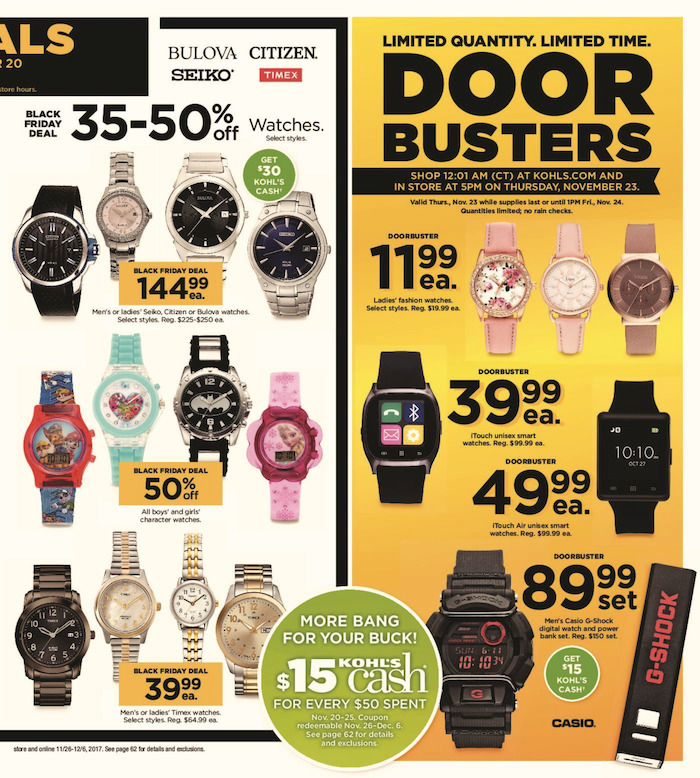 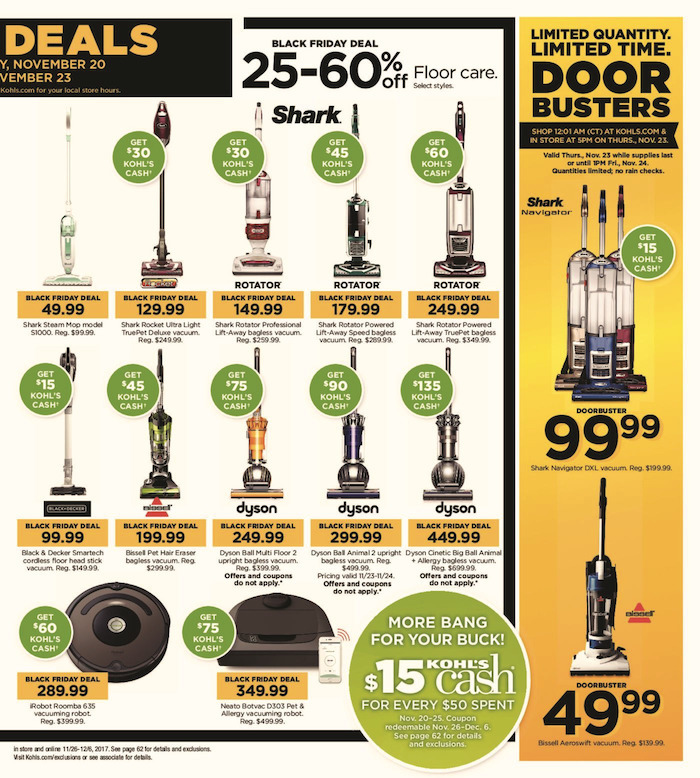 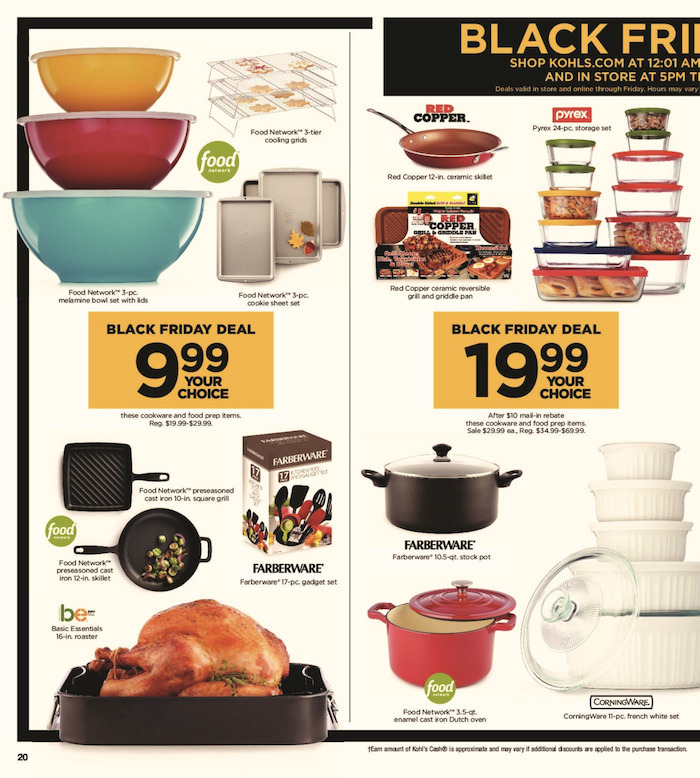 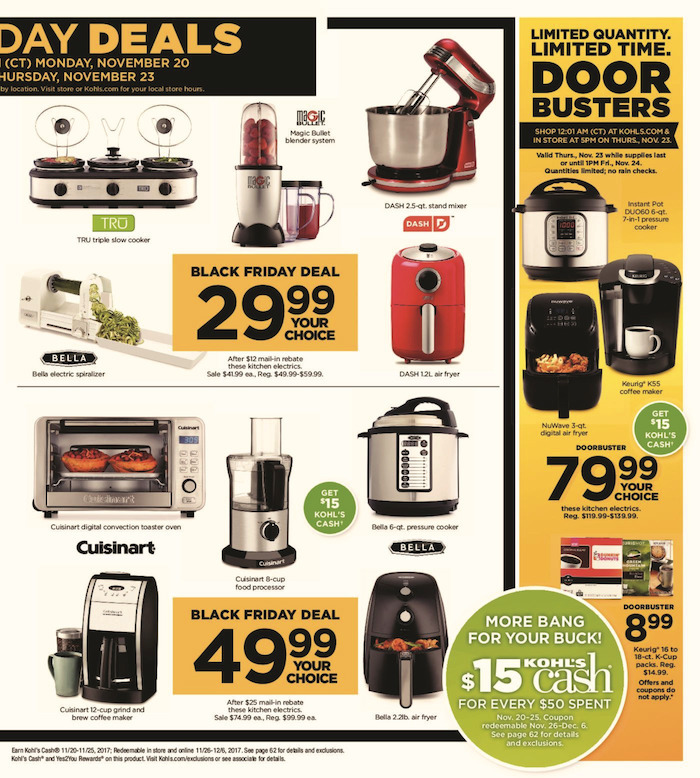 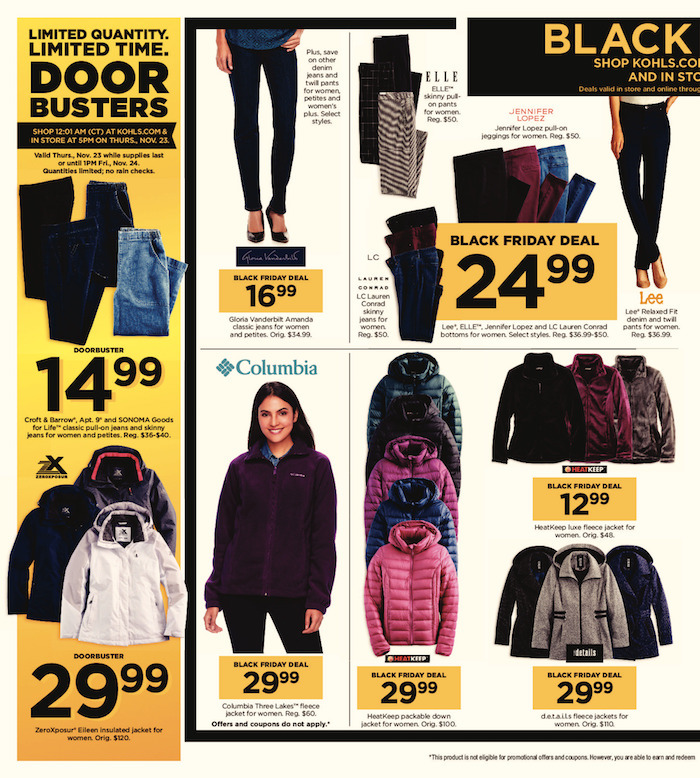 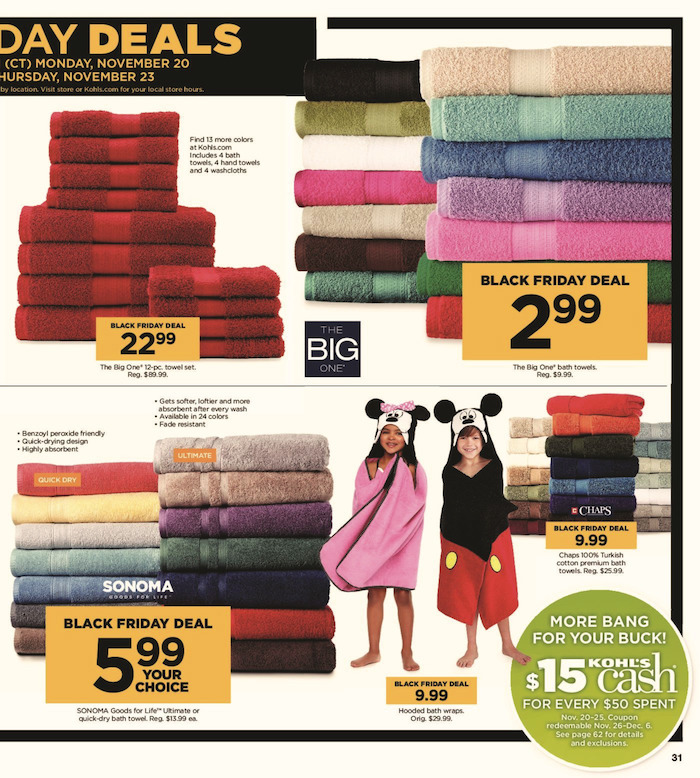 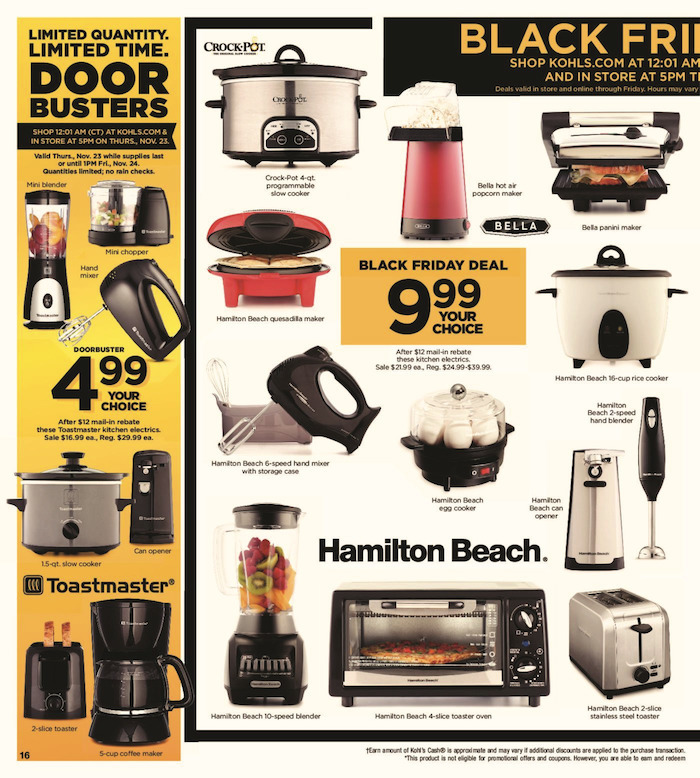 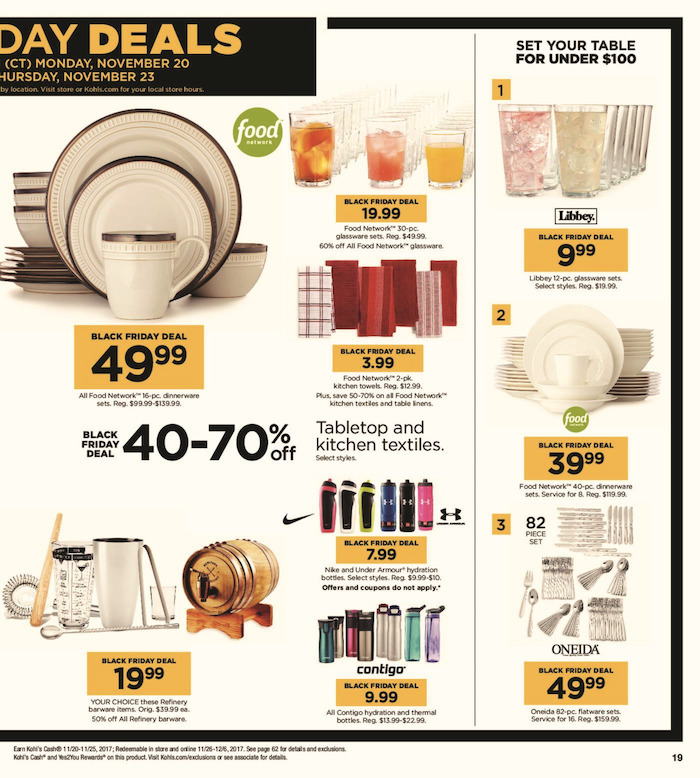 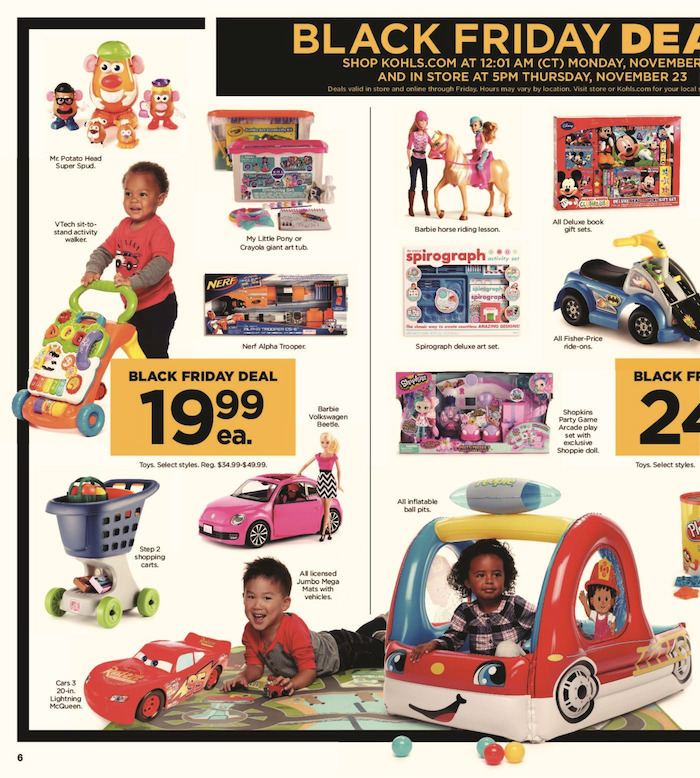 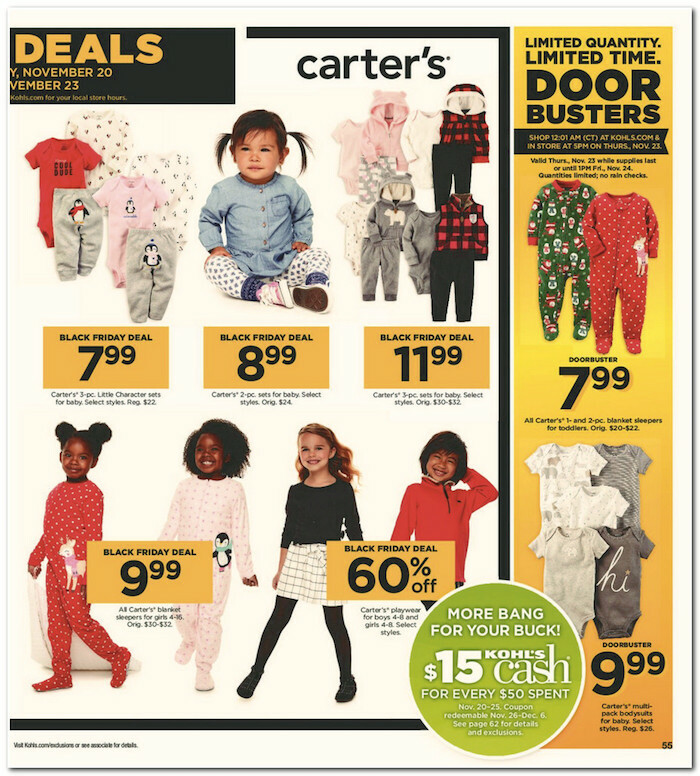 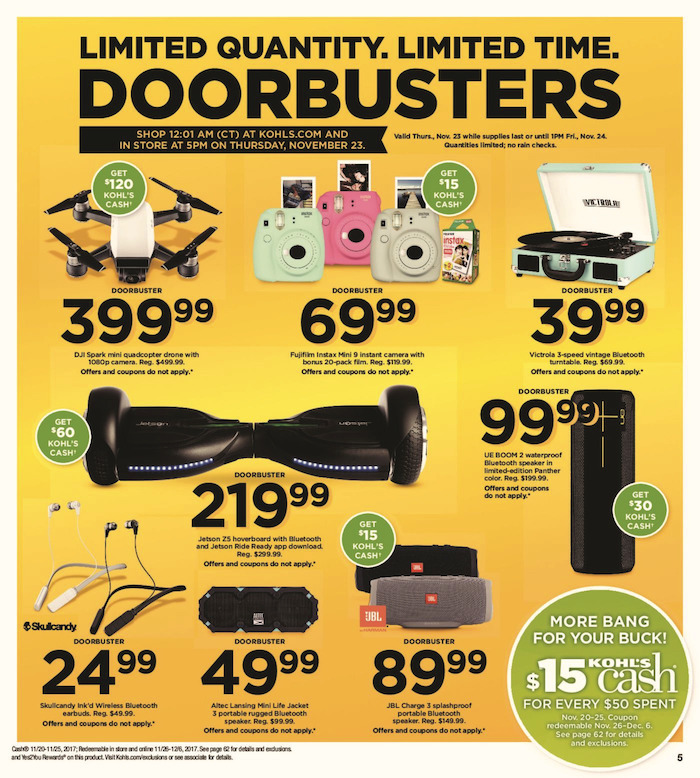 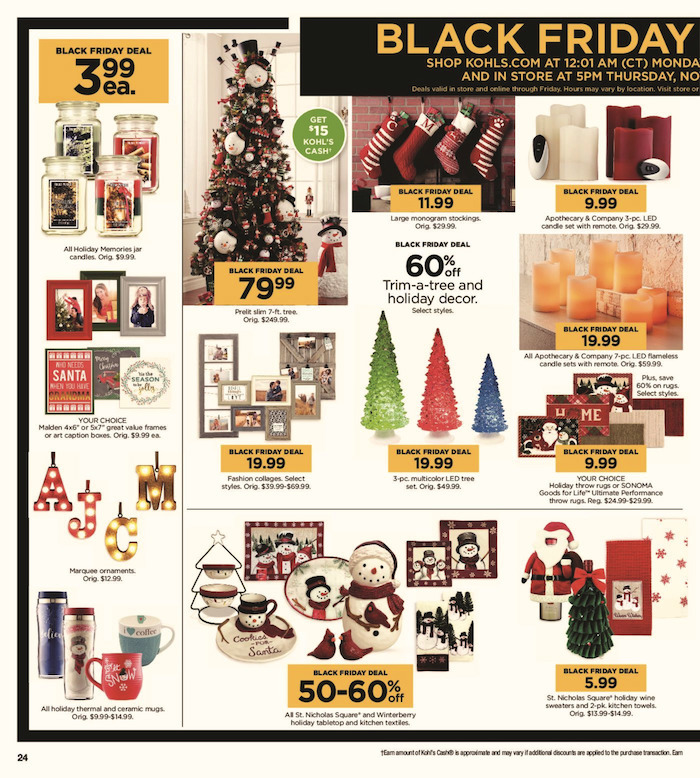 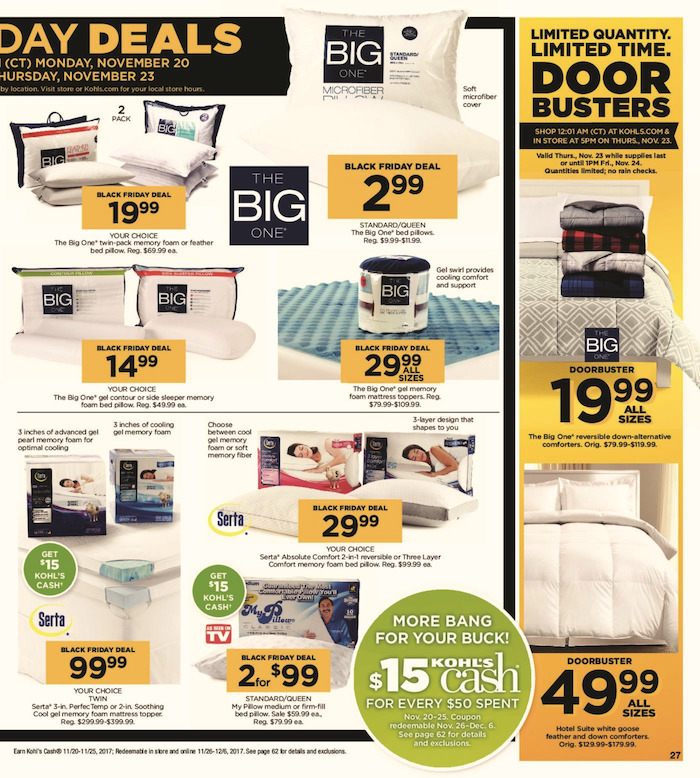 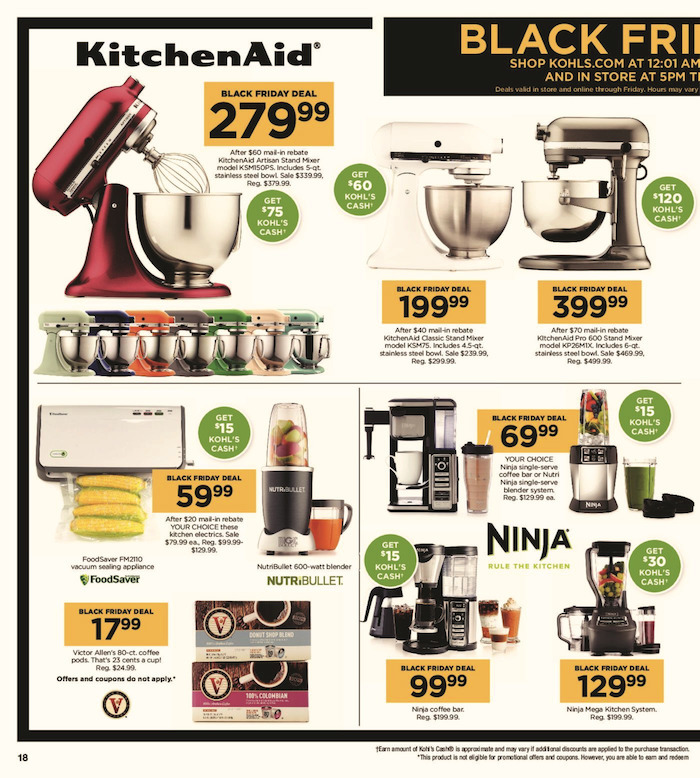 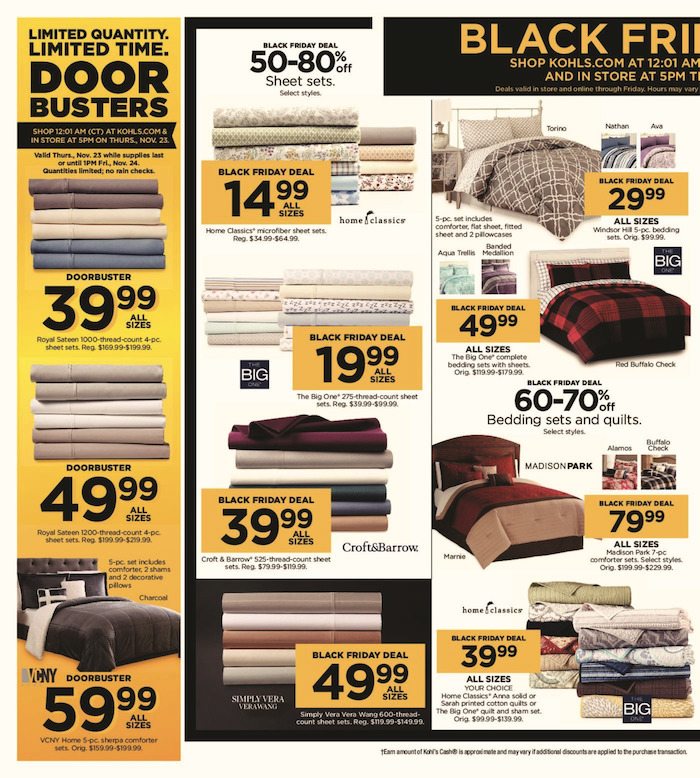 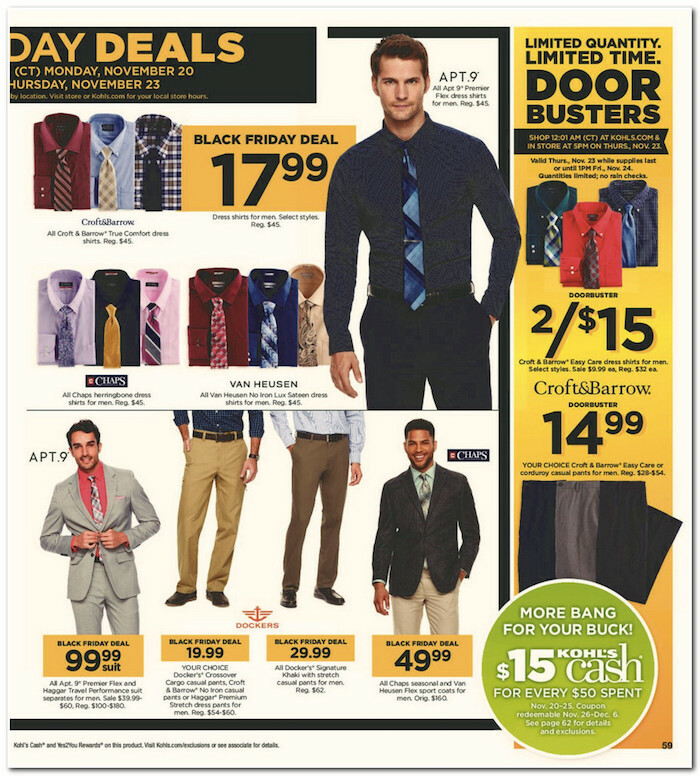 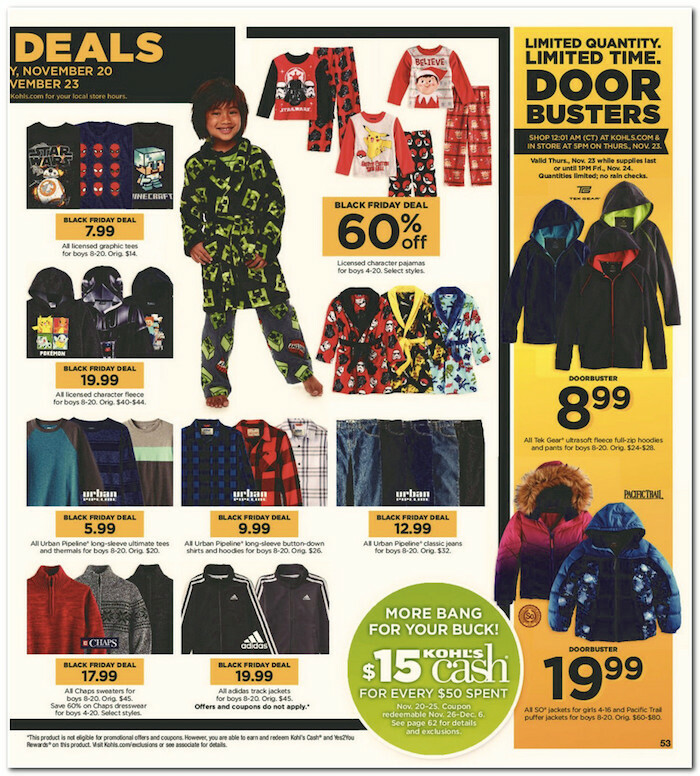 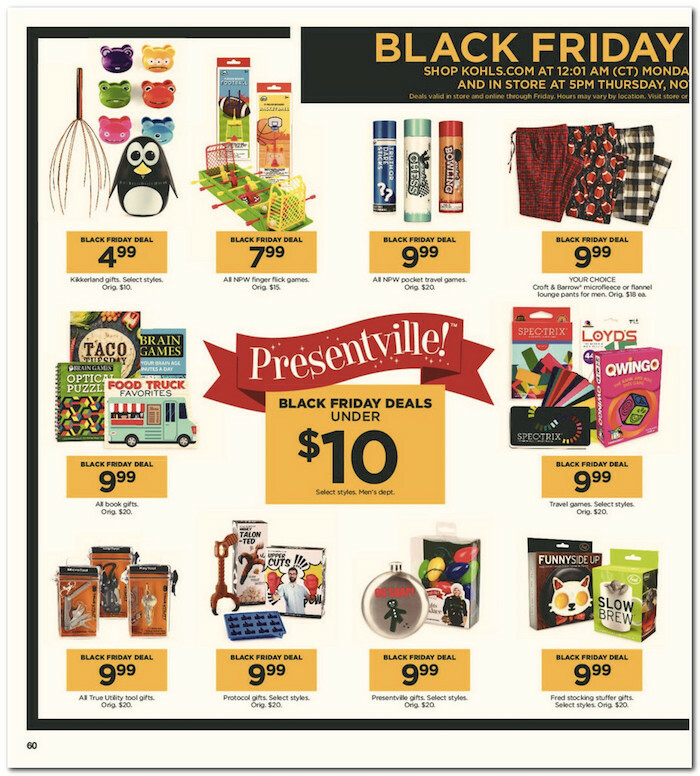 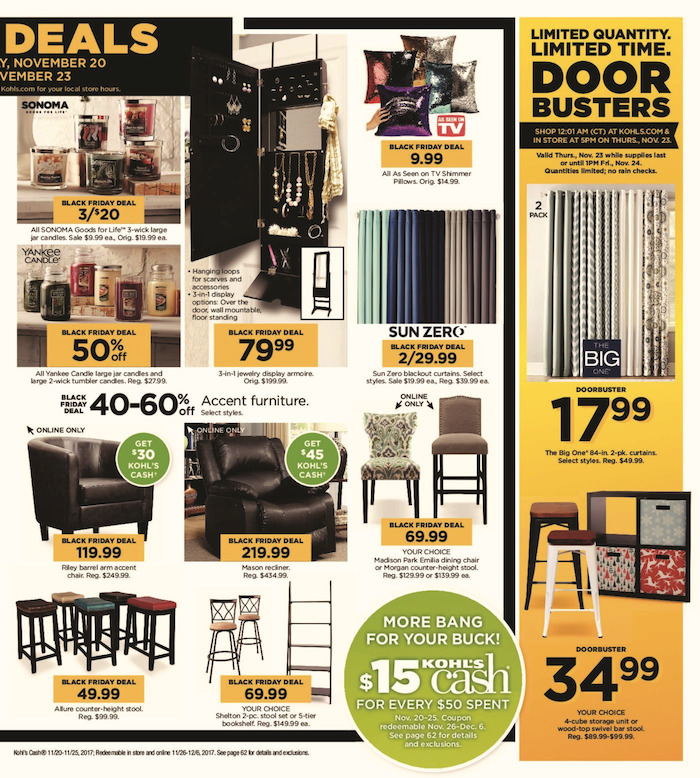 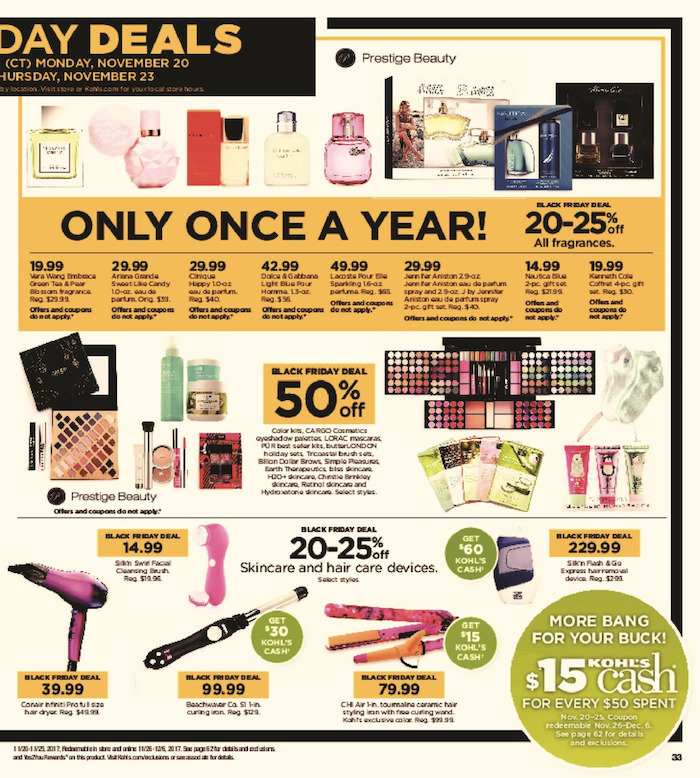 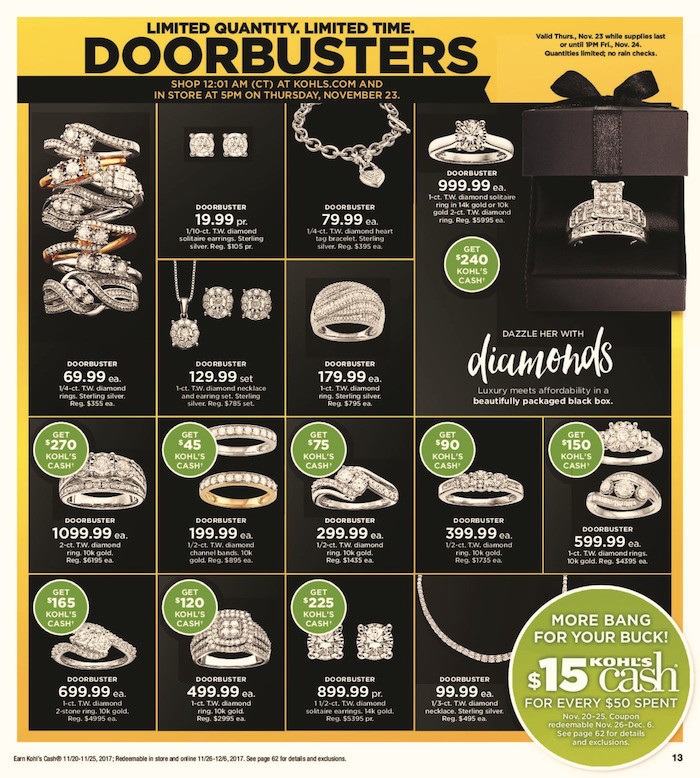 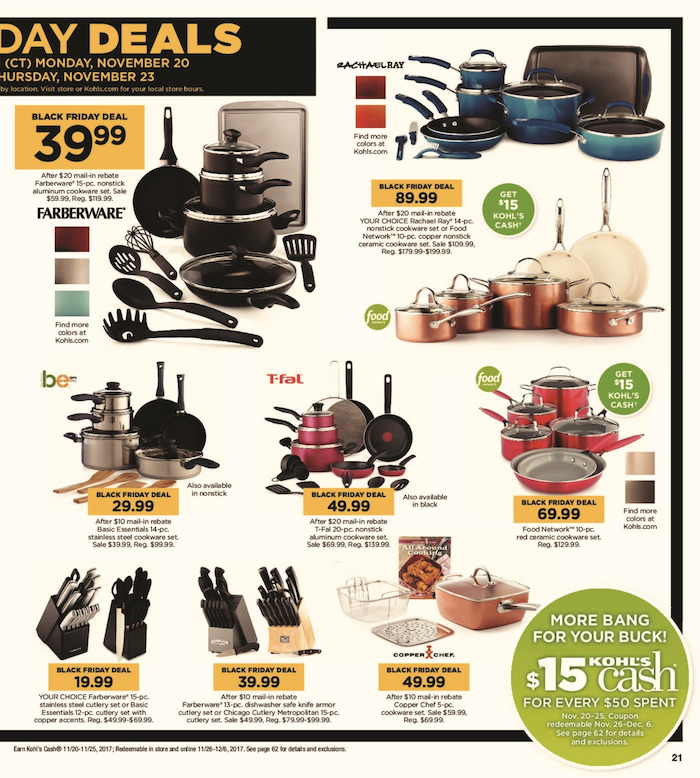 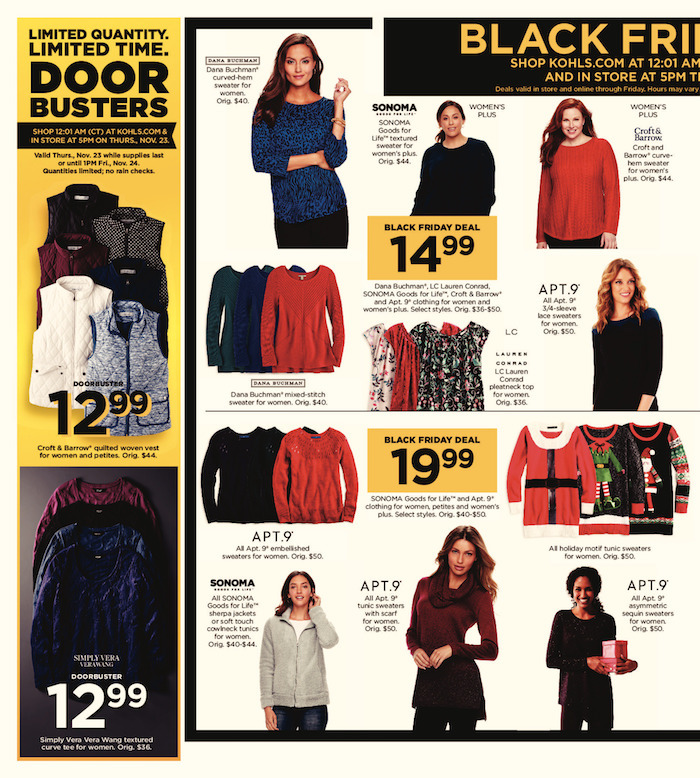 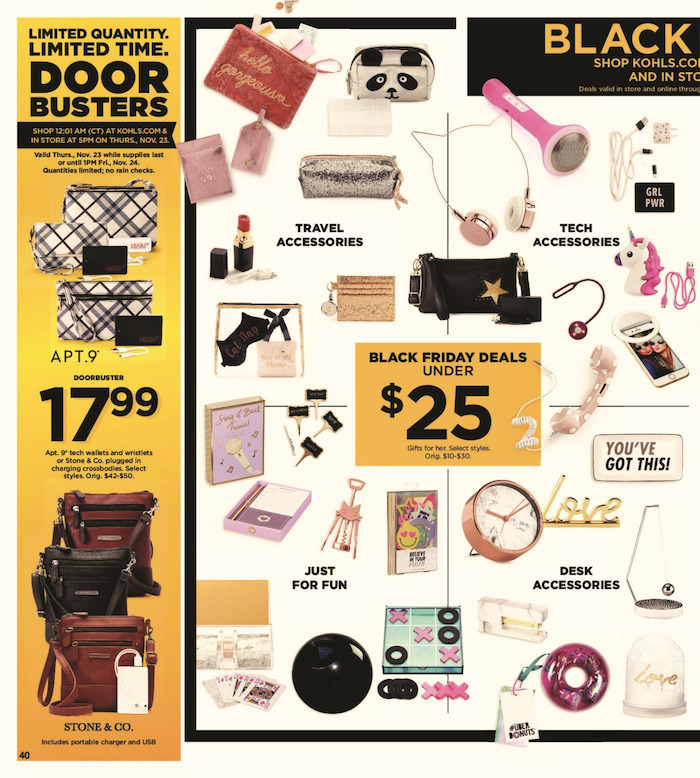 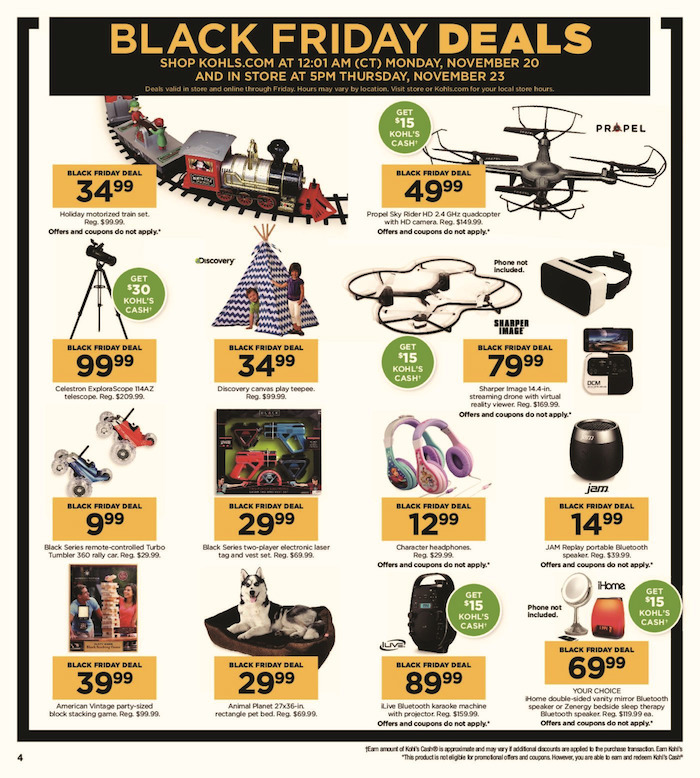 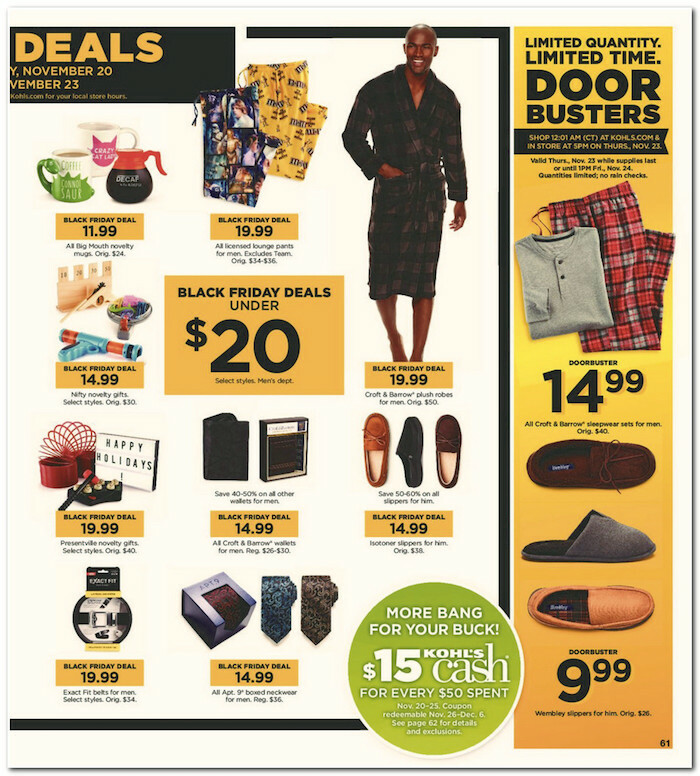 See the the last page of this ad, which is page 64 for the best doorbusters of the year. 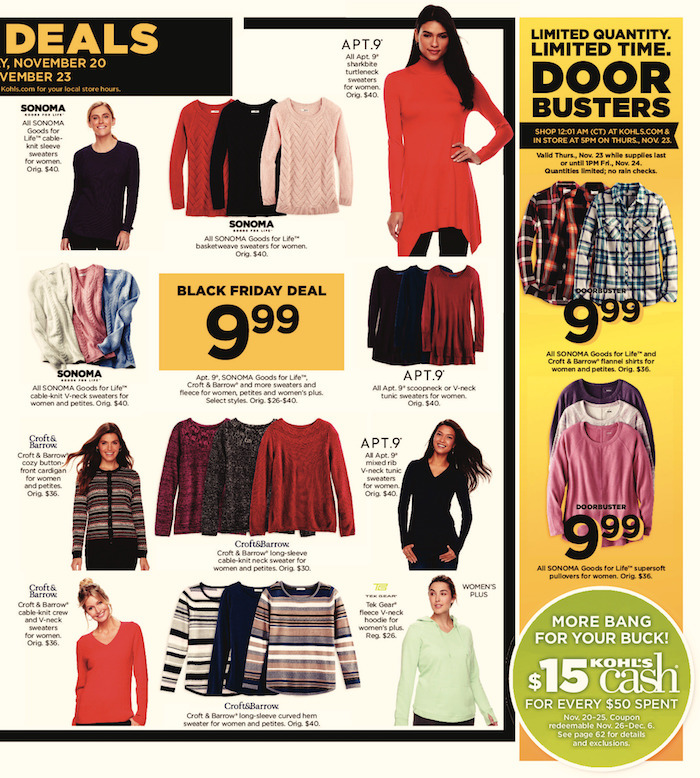 See page 62 for details about the Kohl’s Cash. 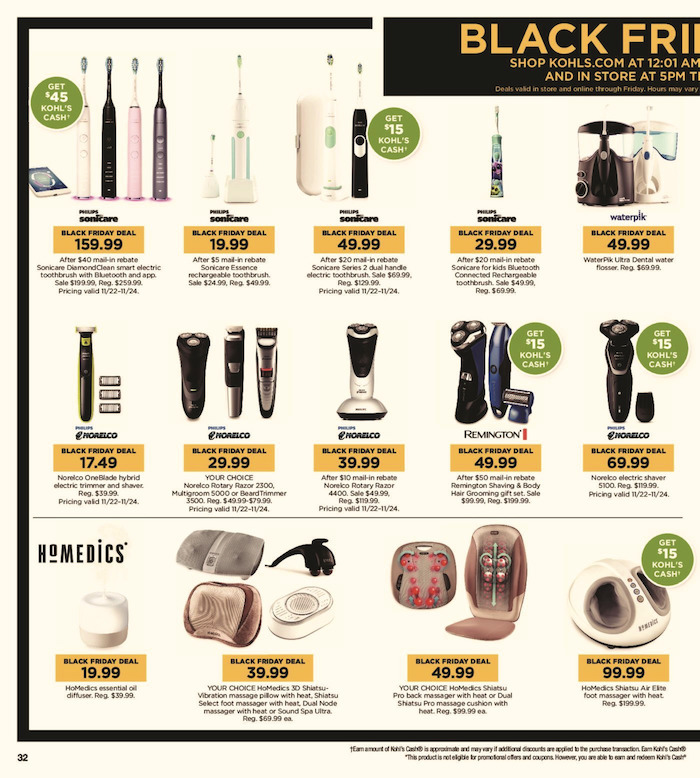 The prices, products, and quantities are subject to change, see store for details. 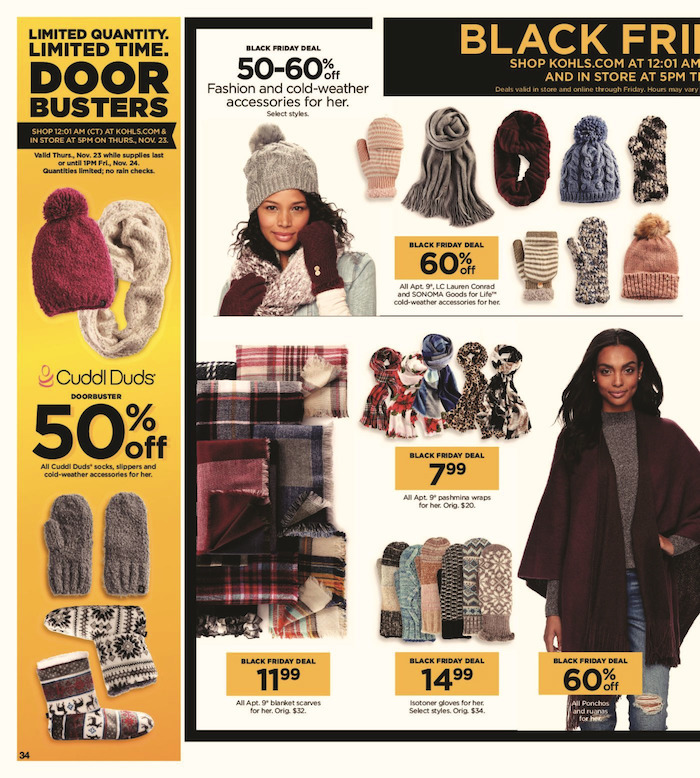 You can begin shopping on Monday, November 20th at 12:01am CT and in-stores starting Thanksgiving day which is Thursday, November 23rd at 5pm. 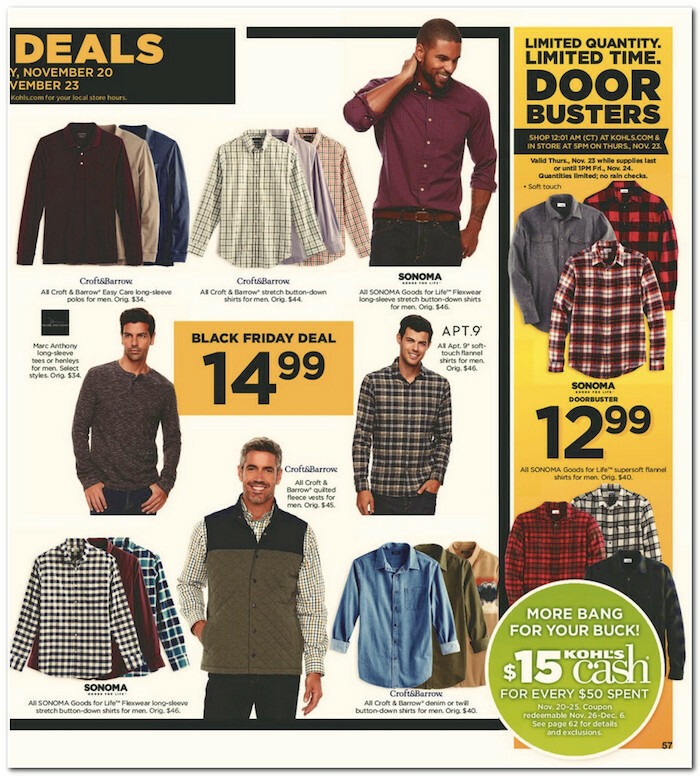 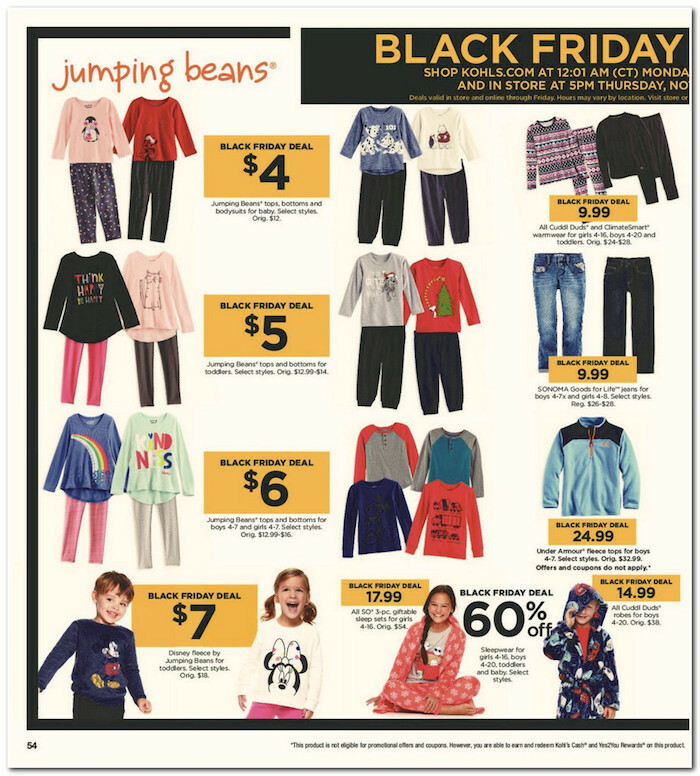 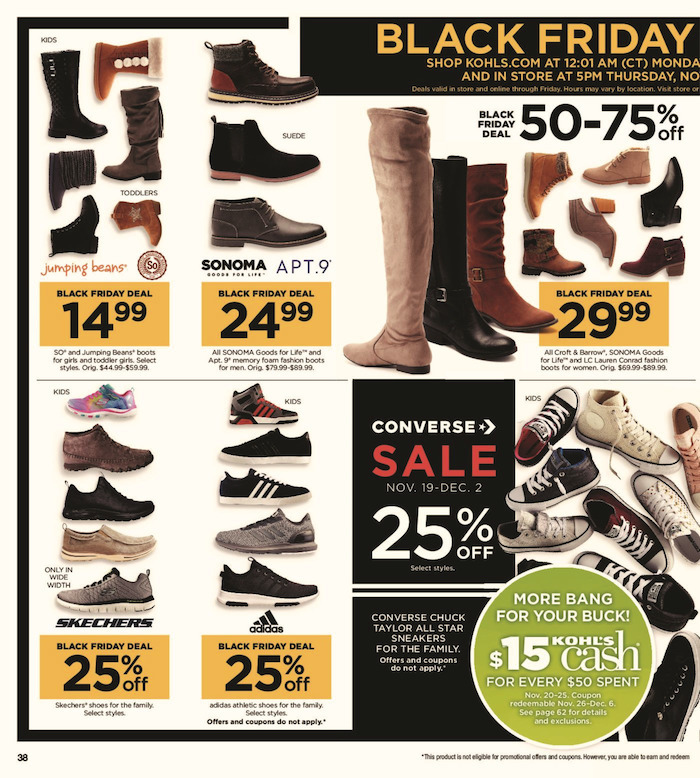 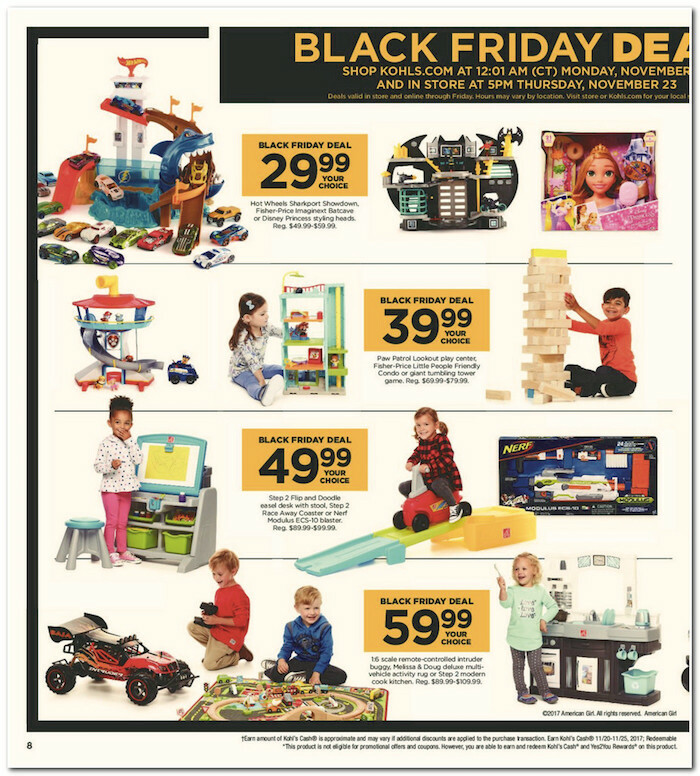 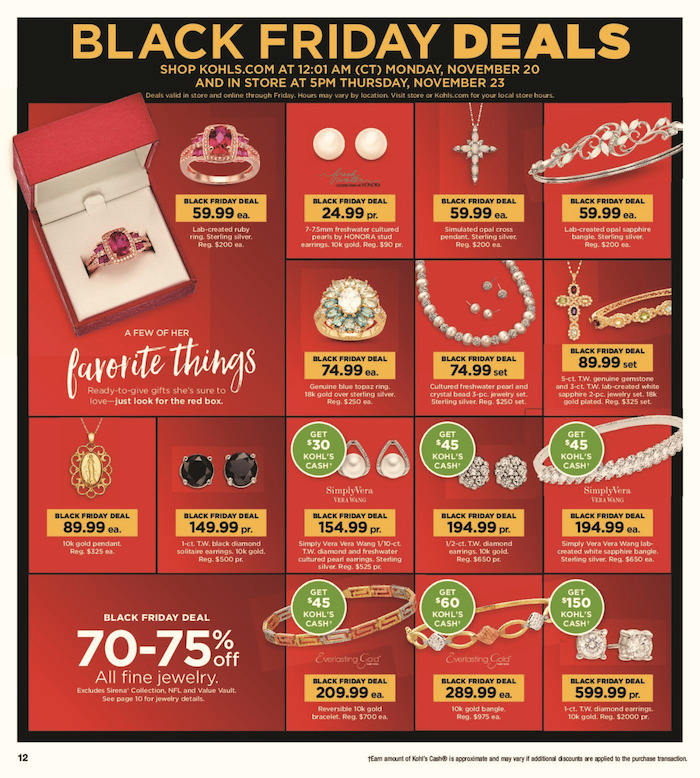 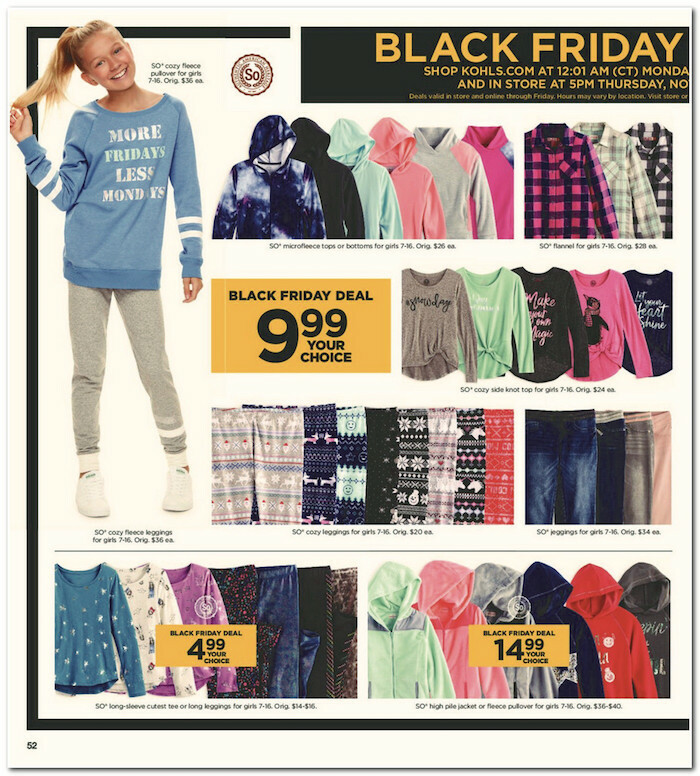 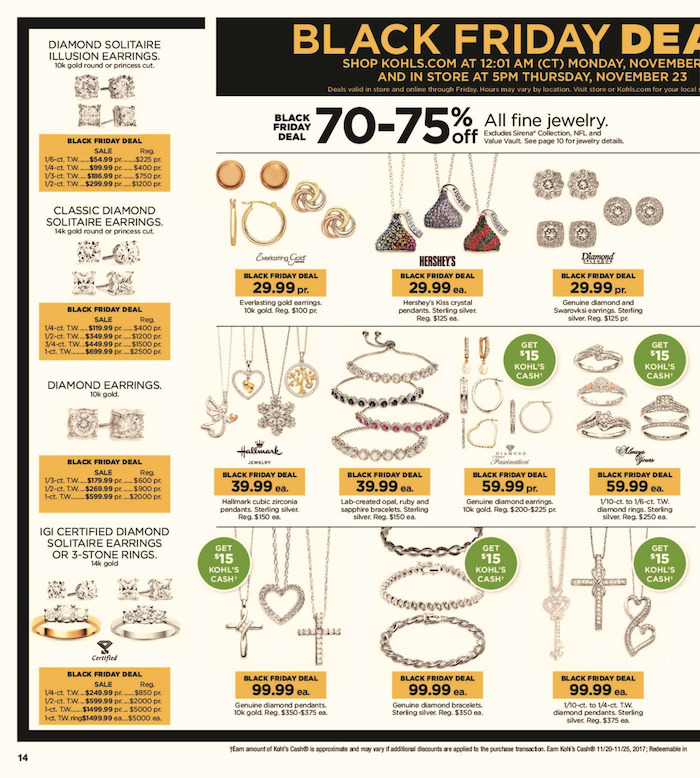 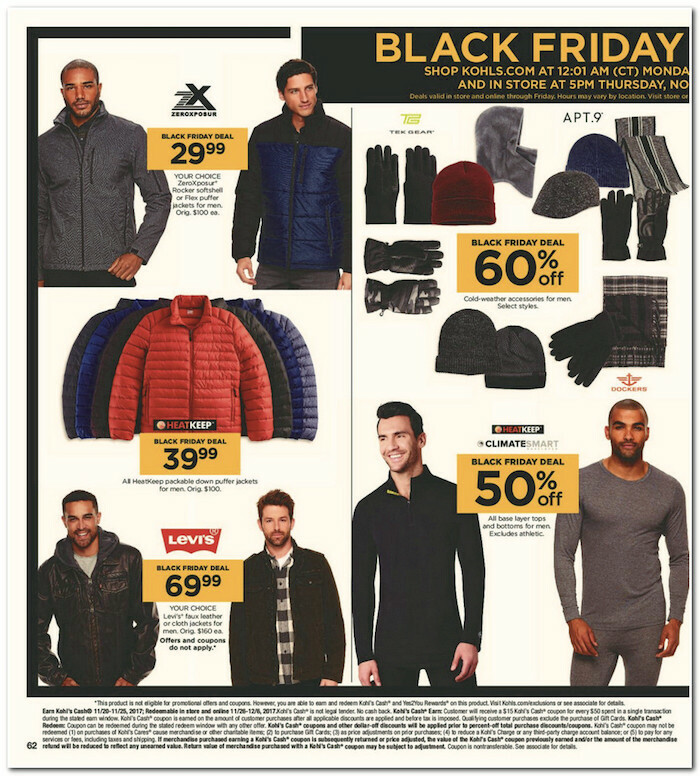 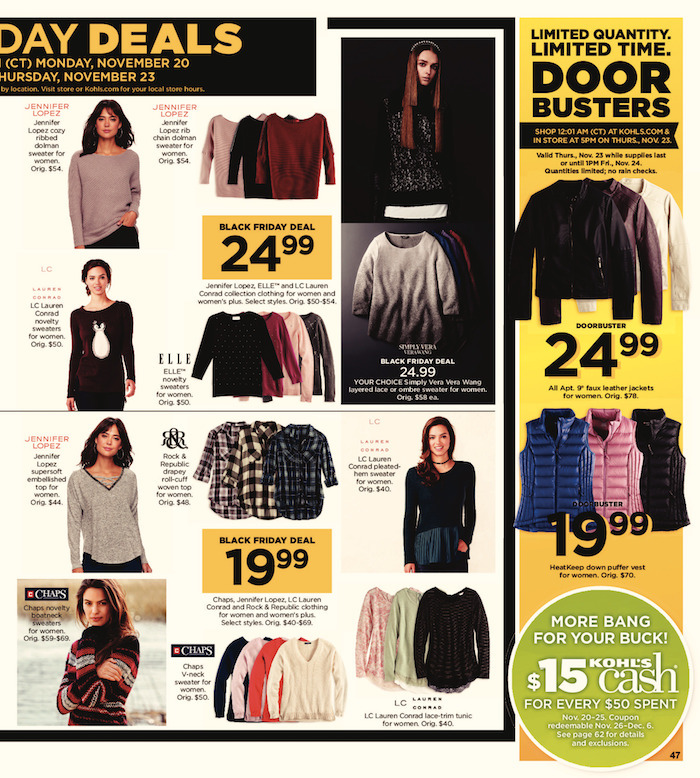 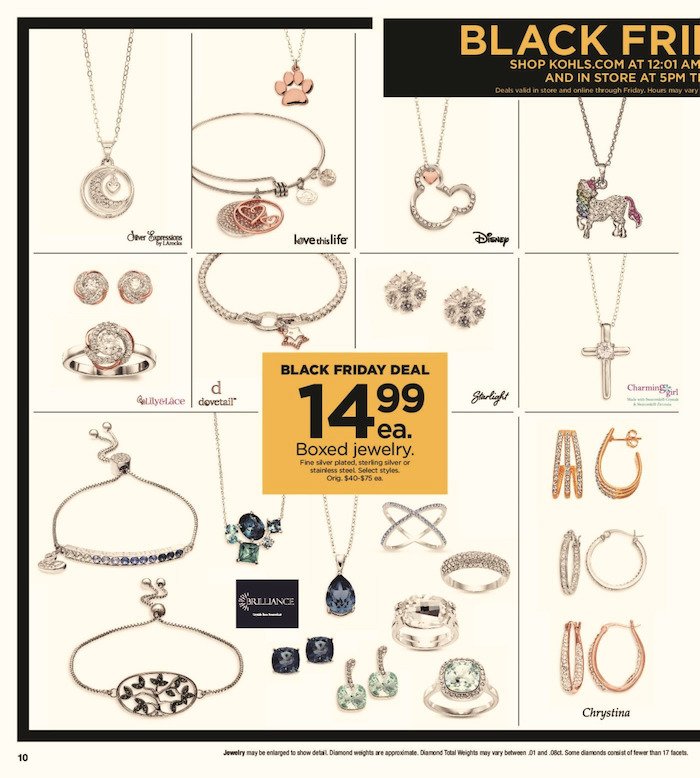 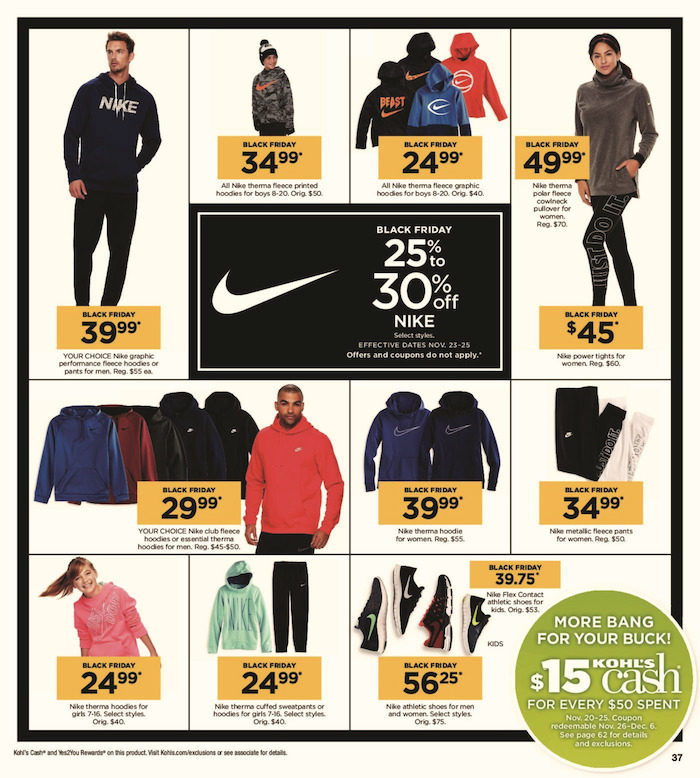 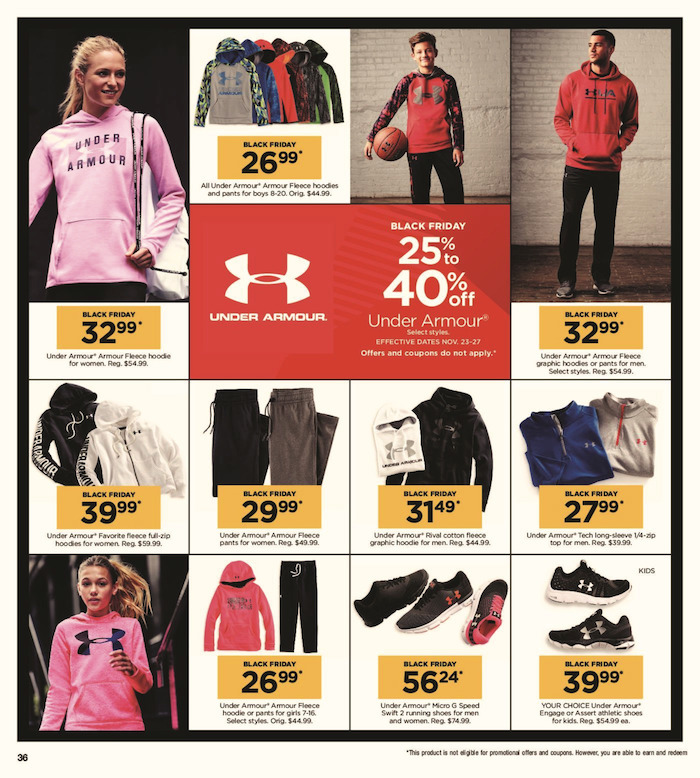 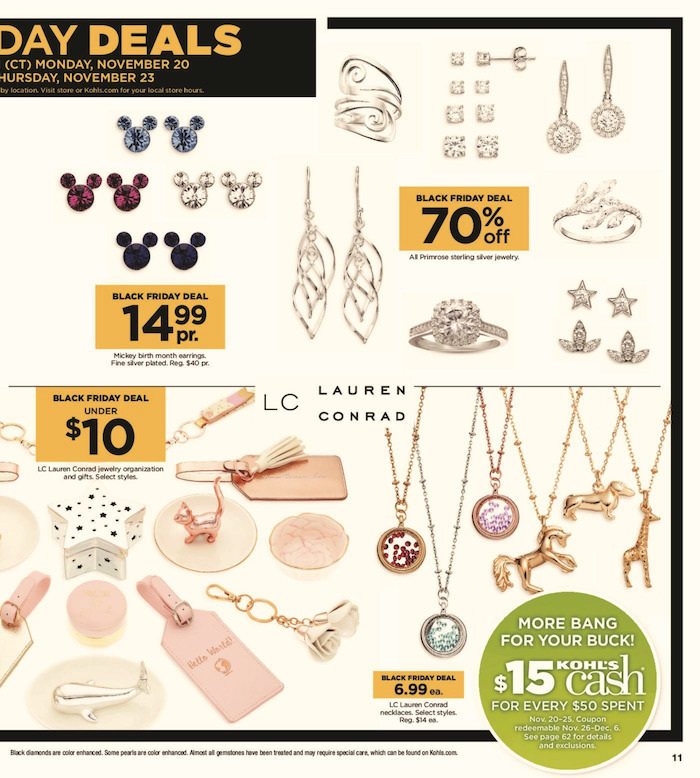 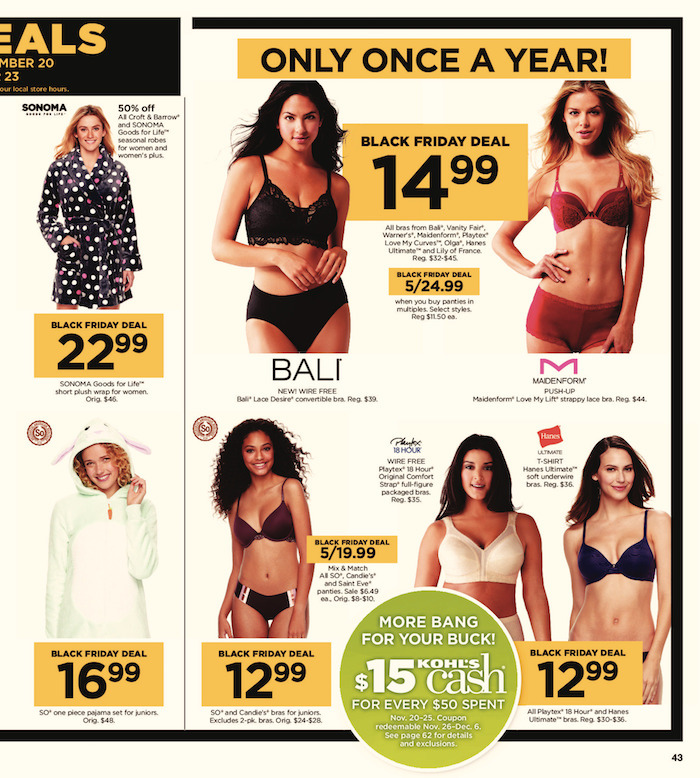 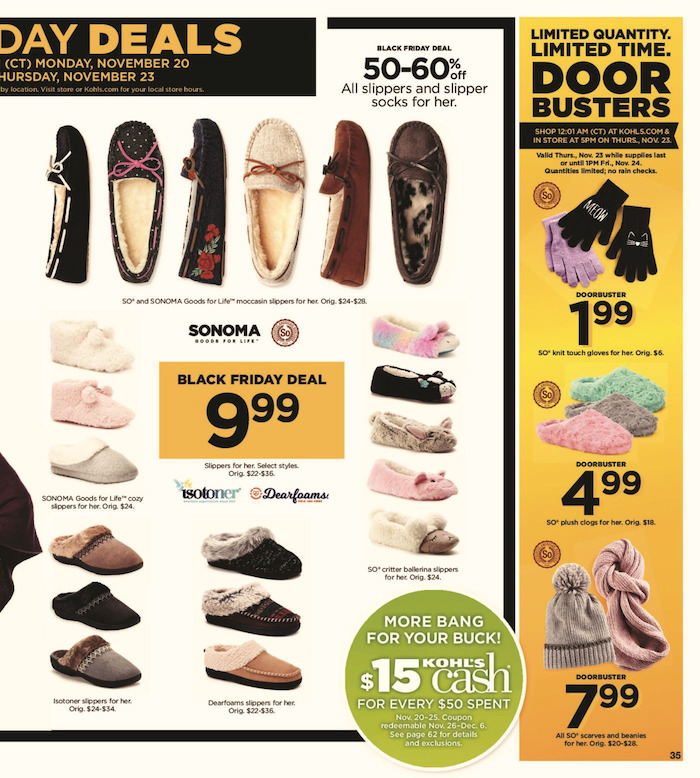 Some stores in Maine, Rhode Island, and Massachusetts open at different times, see the bottom of the first page of the ad for specific times.